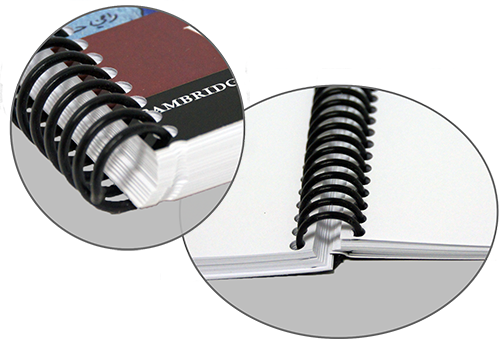 The pages for this style book are punched and plastic coil is inserted in order to hold all of the pages together. The coils come in a variety of color. When the book is open, it lays flat. Some examples of a spiral book are cook books, music books, manuals, etc.